and customer satisfaction will be developed. Put deodorization sheet on the car seat,and Bad smell in car will be developed. Recognizing usage by sensor.Repetitive use by sun drying. 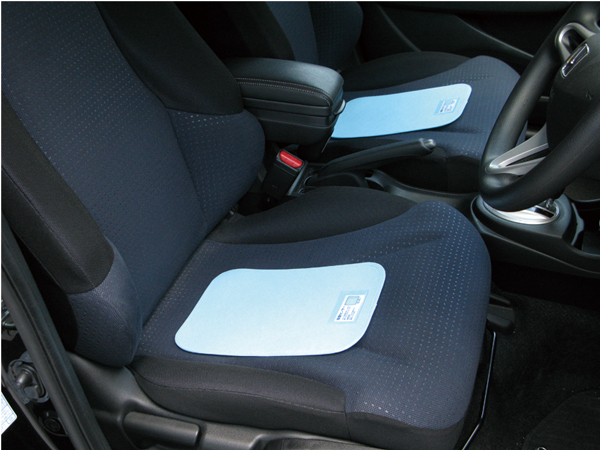 ●After putting deodorization sheet on the car seat in accordance with car’s area, Close the window and door during some period of time. 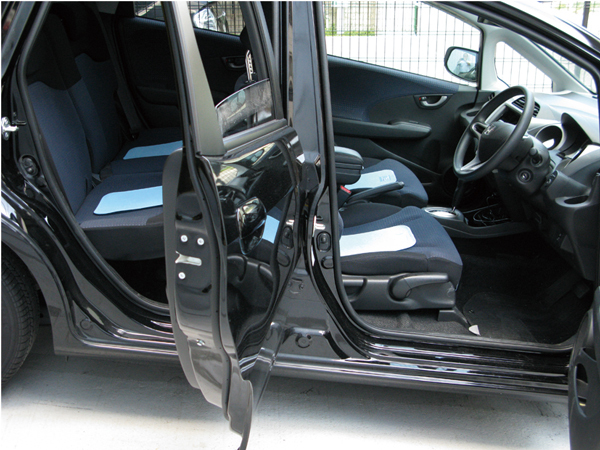 ※The number of use (standard) Light vehicle or standard size car = Four sheets Minivan or one box car = Six sheets. ※To take a picture, the car printed above pictures is opening window and door. 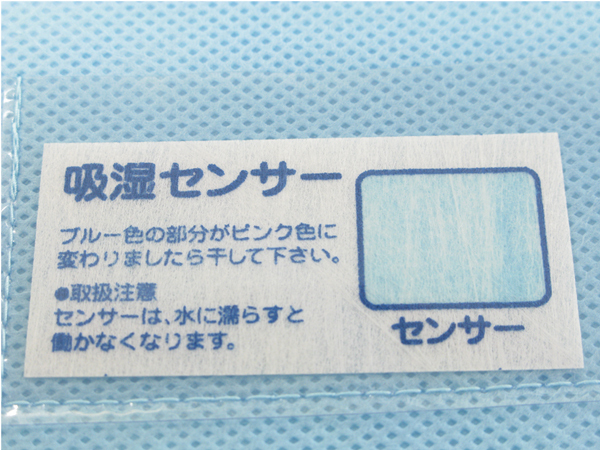 ※In case causative materials of bad smell leave in car, bad smell may be reduced with this product. But bad smell may be raised again after time progressing. Recommend removing causative materials of bad smell and washing. ※ In case this product sticks to bad smell, recommend exchanging this product. 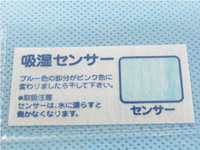 ※In case not using product, after this product is dried and put in the sealing bottle,Keep this sealing bottle at the dry place. 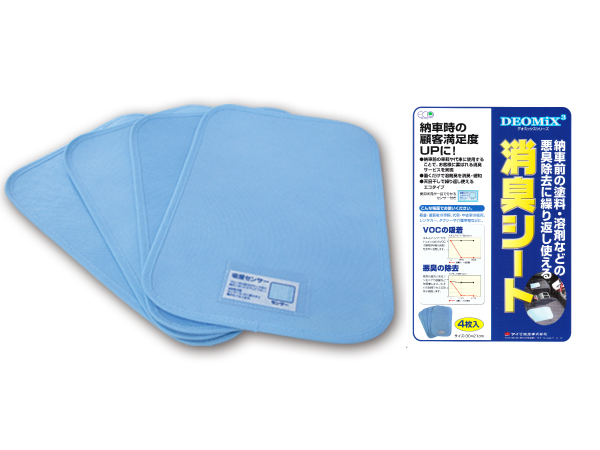 ※When it is humidity in spite of good weather, color of the sensor doesn’t change blue.But moisture absorption function is recovered.